As Apple is all set to launch a new iPhone on 21st March 2016, with smaller screen, but rumours about the next iPhone is all around. Keeping the rumours aside, today let’s have a look on the five things that are expected from iPhone 7. We really want to get our hands on iPhone 7, and we've got lots of great ideas to help Apple create a master piece, whether it is curved display, wireless charging or high definition screen. 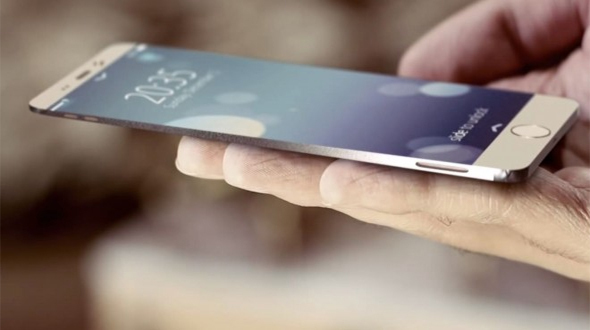 So let’s start the list of expectation which we have from new Apple Flagship. With increasing video quality in different platforms like YouTube and other video streaming applications, what you need in this situation is a good Display which supports all these formats for the better viewing experience. So we request apple to give 4K Display in the new iPhone 7 for better user experience. With Samsung giving the feature to its flagship phone from last year and now in Samsung Galaxy S7 & S7 edge, we apple fan see a lack there. An iPhone 7 with wireless charging would be great, especially if the same charger worked for the Apple Watch too. When Samsung Launched the curved Display Galaxy S6 Edge, it took the world with wow, and they have made it more beautiful with S7 Edge. With great work with the Apple Watch, we request Apple to go and fold the Screen of iPhone 7 and get this technology incorporated in the new iPhone 7. Apple gave us our first iPhone megapixel camera boost in four years with the 12MP sensor inside the iPhone 6S and iPhone 6S Plus, but we think Apple should go long way ahead in this area. As Mobile Camera has now made for lots of things, we request Apple to work in different league to offer best in the industry camera and option related to it, should have more option to work with it. Last but not the least, we request Apple to do something with the battery life of the new iPhone 7, having lots of features is ok but phone should have more juice to work with it. Hope you have liked the list of features we want in the new iPhone, if you want something in new iPhone 7, do share in comment section below. Apple has fallen so far behind with their phone technology. They just seem to rest on their laurels while companies like Samsung and Huawei bust their butts to innovate. Apple saddens me. Hell has indeed frozen over, my fanboi torch has dimmed.